Paillard is relative easy to reach by car but when relying on public transportation, connections are scarce. 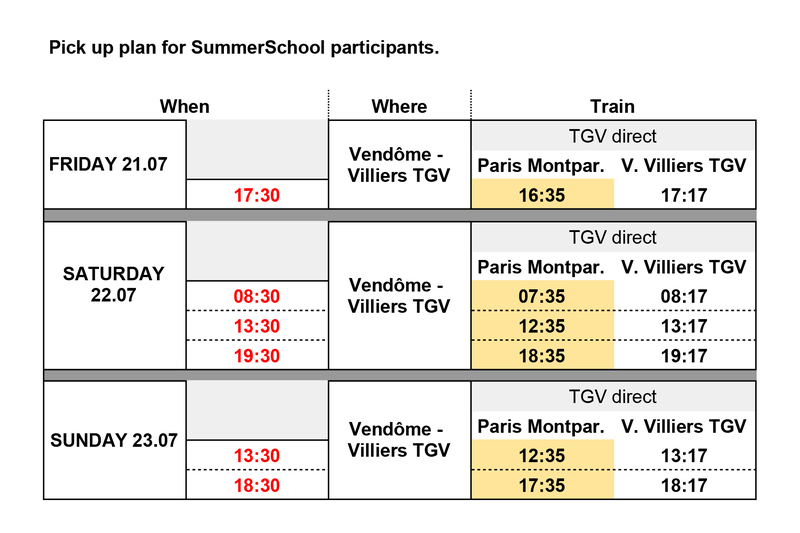 There will be a shuttle service organized to pick up and drop off SummerSchool participants from Vendôme-Villiers sur Loir TGV Station (45 minutes car ride to Paillard). No pick ups were arranged from this station (car ride to Paillard is about 25 minutes) because they take place during SummerFest and we will have a few back-and-forth travelling. Paris International airports, namely Roissy-Charles De Gaulle and Orly, are fairly easy to reach from paillard via train connections from Château du Loir. 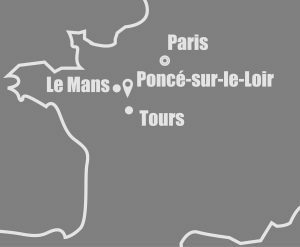 Either via Le Mans or Saint Pierre des Corps (connection from local train to TGV) it avoids Paris city center stations and metro. To Roissy-Charles de Gaulle airport: TGV station is in Terminal 2. To Orly airport you need to stop at Massy TGV station. Orly Airport is reachable from Massy TGV via taxi. A ride takes 15 minutes and costs estimations varies from 22 to 32 euros.